Millions of Americans will travel our nation’s highways this Thanksgiving holiday to visit family and friends. With more vehicles on the road, the chances of being involved in a crash increase greatly. The Hamilton County Traffic Safety Partnership, a consortium of local law enforcement agencies, is joining more than 230 local law-enforcement agencies across the state to spot violations to Indiana’s seat belt and impaired driving laws. From November 10 through December 3, expect to see an increase in random patrols, saturation patrols and checkpoints as officers work diligently to help motorists arrive safely at their destinations. This overtime enforcement is supported with National Highway Traffic Safety Administration (NHTSA) funds administered by the Indiana Criminal Justice Institute (ICJI). 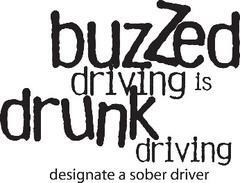 For more information about impaired driving visit http://on.IN.gov/drivesoberand for more information about seat belts visit http://on.IN.gov/buckleup. • Secure the lap belt across your hips and pelvis, below your stomach. • Place the shoulder belt across the middle of your chest and rib cage, away from your neck. 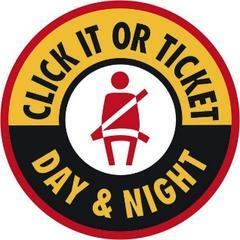 • If your seat belt doesn’t fit you, or you have an older car with lap belts only, ask your dealer or vehicle manufacturer about seat-belt adjusters, extenders or retrofits. • Choose the right car seat for a child’s height and weight at www.safercar.gov/therightseat. • Use a rear-facing infant or convertible seat until a child reaches the seat’s upper height or weight limit. Rear-facing harness straps should originate at or below the child’s shoulders. And never install a rear-facing seat in front of an active air bag. • Once a child outgrows a rear-facing car seat, he or she is ready for a forward-facing car seat with harness. Always use the tether strap when installing a front-facing car seat. Front-facing harness straps should originate at or above the child’s shoulders. • Tightly secure car seats using either the seat belt or the lower anchors, but not both, and that they are threaded through the correct path. Make sure the straps are snug and free of twists, and that the car seat doesn’t move more than 1 inch. • Buckling your child correctly is just as important as installing the seat correctly. Seat belts and harness straps should be snug and free of twists. If you can pinch harness straps between your fingers, the harness is not tight enough. • To receive timely recall information, register your car seat with the manufacturer or using the form at www.nhtsa.gov/document/car-seat-registration-form. • Download the SaferRide mobile app on the Android Play Store or the Apple iTunes Store. This simple app only has three options: call a taxi, call a friend, and identify your location for pickup.